This is the second in a series of posts about my out-of-box experience with a Dell T7920 workstation. The series starts here. There are three kinds of disks on my new workstation. How do they perform? 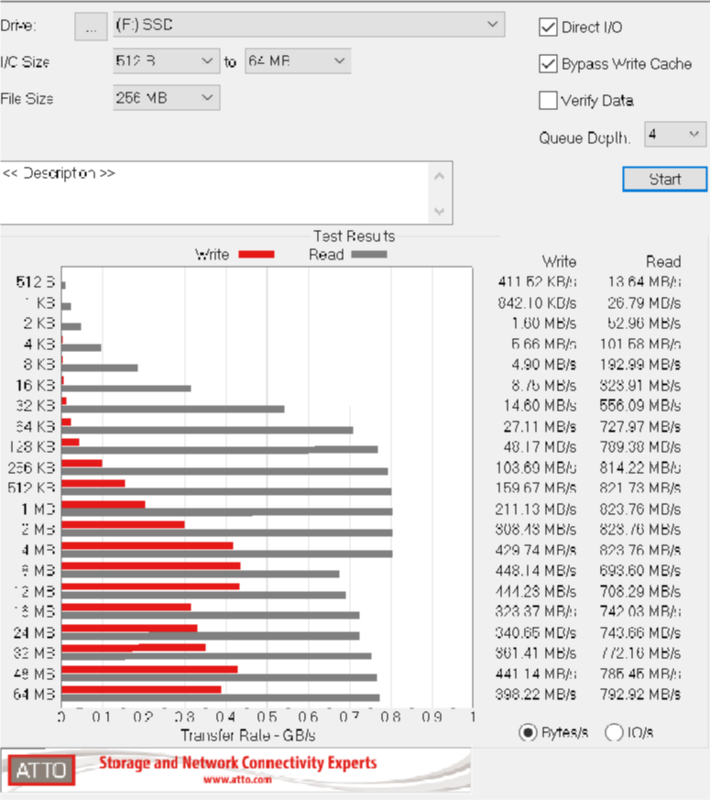 I tested with the ATTO tool, with the write cache disabled. 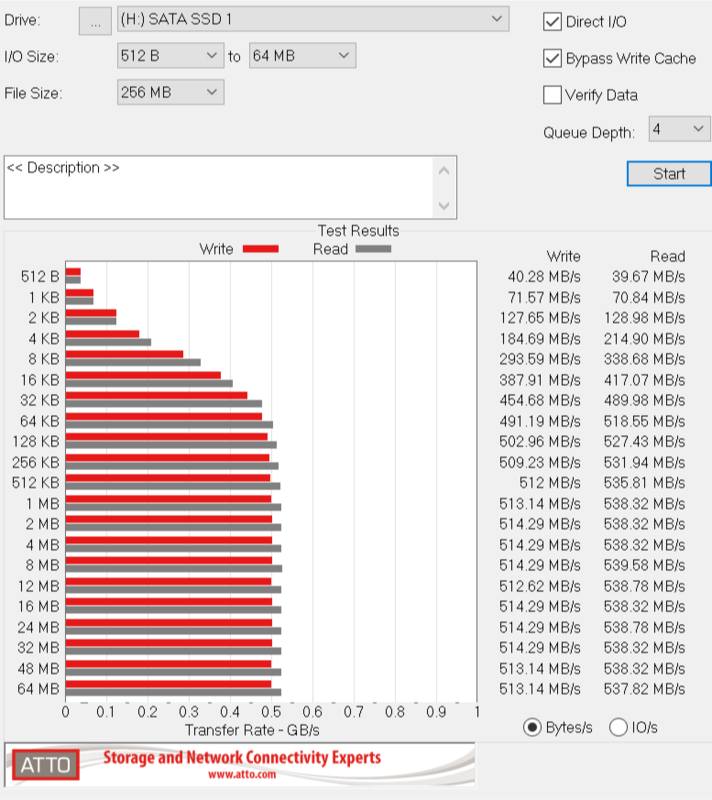 For sustained long transfers — the kind that you do a lot of in photography — the SATA SSD is about 2.5 times as fast as the 7200 RPM drives, and the PCIe disk is about 14 times as fast. 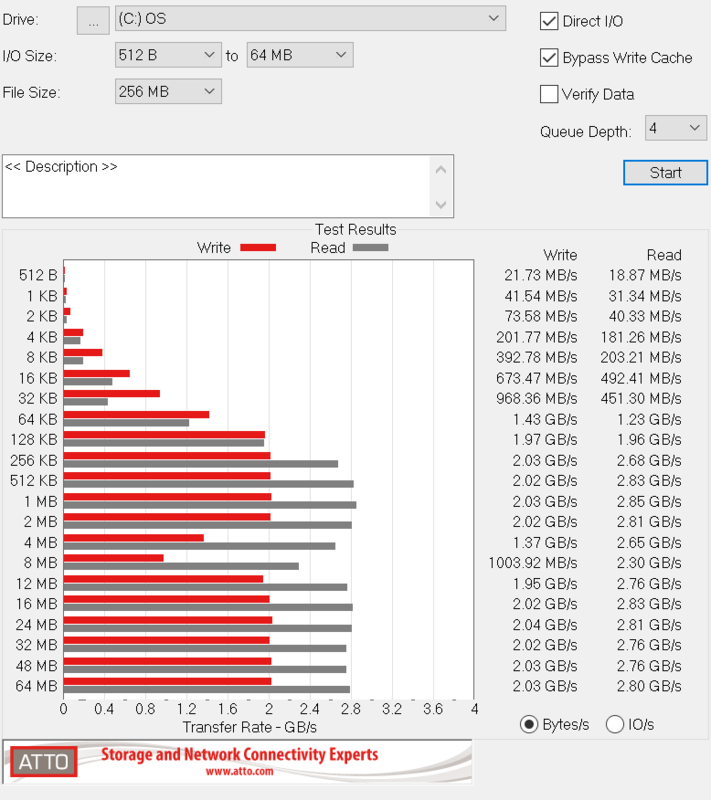 The SATA SSD appears to be limited by the SATA III interface. Small transfers are very slow. 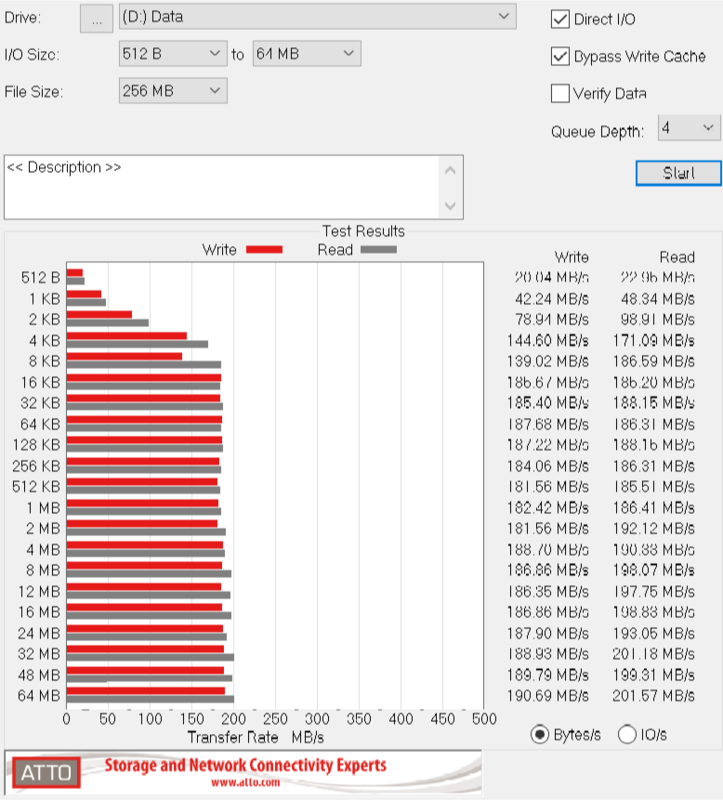 Long reads take place at something approaching the 10 Gb/s of which USB 3.1 is capable. But long writes are about half that speed.